Cruise the most beautiful city harbour in Australia, and enjoy the relaxed and friendly company of your Aboriginal hosts and crew. Set sail on a journey to discover the stories of the Eora, Cadigal, Guringai, Wangal, Gammeraigal and Wallumedegal people. 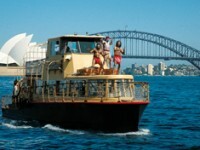 Come ashore on an island in Sydney Harbour to an authentic Aboriginal cultural performance. Learn the Aboriginal names and meanings of significant Sydney landmarks. 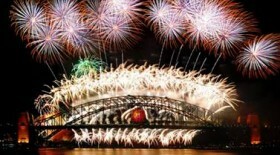 Sydney Harbour as you have never experienced it before. Explore it’s waters on our unique cultural harbour cruise. We will take you on a journey from pre-white settlement through our coastal lifestyle – uncovering traditional fishing methods and food gathering techniques. Discover our culture, meet our people and enjoy the sights of Sydney Harbour. Come aboard our floating work of art and let us share with you glimpses of the original inhabitants of Sydney Harbour – the Eora, Cadigal, Guringai, Wangal, Gammeraigal and Wallumedegal people.